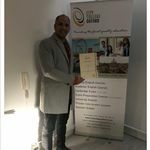 I received my certificate today (08/01/2019) from City College Oxford, I'm writing to thank you for your immense support during my course , your positive attitude and instant support is what helped make an overall a wonderful experience, I really enjoyed the course Level 7 Diploma in Strategic Management and Leadership, this course offers more than professional needs, definitely a personal impact. 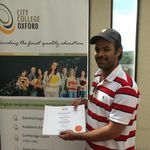 I completed my level 7 and now planning to start my top MBA at City College Oxford. The objective of the OTHM Level 3 Diploma in Business Studies qualification is to provide learners with an in depth understanding of the operations and structure of businesses. 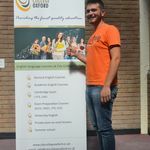 Successful completion of this qualification will equip learners with the underpinning knowledge and skills required to succeed in employment or further studies. OTHM Qualifications are approved and regulated by Ofqual (Office of Qualifications and Examinations Regulation). OTHM has progression arrangement with several UK universities that acknowledges the ability of learners after studying Level 3-7 qualifications to be considered for advanced entry into corresponding degree year/top up and Master’s/top-up programmes. OTHM qualifications at RQF Level 3 represent practical knowledge, skills, capabilities and competences that are assessed in academic terms as being equivalent to GCE AS/A Levels. Successful completion of Level 3 Diploma in Business Studies qualification enables learners direct entry into Year 1 of a three-year UK Bachelor’s degree or pursue Level 4 Diplomas. As this qualification is approved and regulated by Ofqual (Office of the Qualifications and Examinations Regulation), many universities acknowledge the ability of learners after studying Level 3 Diploma in Business Studies and consider for direct entry into a range of their Bachelor’s degree programmes.